Advanced tap technique is a class that will explore tap dance technique, musicality and rhythm, original choreography, and improvisation. The class will include a warm up and will then alternate weekly through the topics of exploration aforementioned above. I believe that dancers benefit the most from taking a new class each week to improve their skills and improve upon what was taught, so this class will not have a recital dance. A solid background in tap dance is necessary in areas of technique, musicality, and picking up complex choreography. Most importantly, a willingness to learn and a desire to work hard is necessary and will help you get the most out of this class. My favourite part of QDC is that it gives dancers a platform to continue dancing beyond their dance studios. If you want to continue to dance at university, there are usually few or no options available. 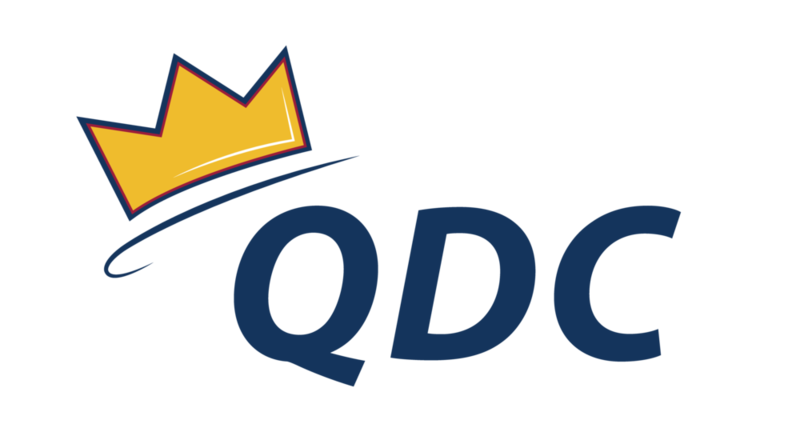 QDC is an excellent program for dancers of all abilities to continue to dance. I also love that QDC gives those who didn’t explore dance in their younger years the ability to try something new and potentially discover a new hobby or passion. What’s your favourite dance move? My favourite tap dance move is a slurp/closed third. I love the sound it makes and how you have to have a super loose ankle to execute it properly. What is your favourite place you have traveled to? My favourite place I have traveled to is Amsterdam, Netherlands. Amsterdam is colourful and vibrant yet also serene. The city as a whole evokes nostalgia through its atmosphere and beautiful architecture. There is an incredible number of things to do and around every corner or alley there is something unique to see. What’s your most embarrassing dance moment? My most embarrassing dance moment was at a dress rehearsal. I was in the middle of performing a hip hop group where I uh, for lack of better words, had to “drop it low”. As I went to do this, I ripped my pants. Not just a little rip, but a large... revealing back of my pants rip! At least it was a closed dress rehearsal and the only people that saw were my group members and teachers. We all laughed about it and still do today. As advice for anyone wearing baggy jeans for a dance, practice in them first! Tegan grew up dancing in a competitive-only dance studio, training in a range of styles that include tap, ballet, jazz, lyrical, contemporary, hip hop, musical theatre, and acro. She has continued her training and exploration of dance beyond the dance studio through dance initiatives, workshops, and open classes in Toronto. Tegan is extremely fortunate to have worked and trained with some of Toronto’s best tap dancers throughout the years such as Juliana Kelly, Allison Toffan, Jonathon Morin, Cori Giannotta, Dianne Montgomery, and Ryan Foley. Key highlights include the Rhythm & Sound’s Illumination Apprenticeship, Toronto Rhythm Initiative Advanced Youth Ensemble Performances, and performing in the Eastern Canadian Tap Conference (ECTC) with Dianne Montgomery. As Tegan enters her fourth year at Queen’s University studying Applied Mathematics and Engineering, she continues to train and gain inspiration from her fellow team members on the Queen’s Competitive Dance Team. Tegan began teaching dance in an assistant role at her studio, continuing on to teaching private lessons and choreographing year-end routines. Tegan was also recently one of the dance instructors for the Emilina Fashion & Arts Experience, a summer camp for young competitive dancers. Check out Tegan’s moves to see if Advanced Tap Technique is right for you!